With the Hollywood blockbuster movie “The Martian” being screened in theaters, the discovery of liquid water on the planet’s surface, and NASA releasing its plan outlining future mission to Mars – the Red Planet is back in the public spotlight. Pondering the possibilities of sending a crewed expedition to Mars, the House Subcommittee on Space held a hearing on Friday, Oct. 9, to ask questions about the details of this future long-term program. 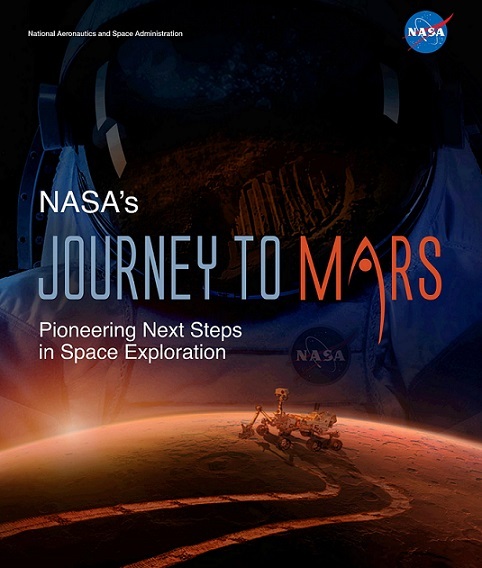 The representatives focused on the budget, schedule, and deadlines of “NASA’s Journey to Mars: Pioneering Next Steps in Space Exploration” report released by the U.S. space agency on Thursday, Oct. 8. Republican lawmakers pointed out that the plan is lacking detailed cost information, is too vague and ambiguous. “I want to comment on the recent handout that we have all seen by the administration called ‘NASA’s Journey to Mars’. This proposal contains no budget; it contains no schedule, no deadlines. This sounds good, but it is actually a journey to nowhere until we have that budget and we have the schedule and we have the deadlines,” said Lamar Smith (R-Texas). Smith chairs the House Committee on Science, Space, and Technology, which includes the Subcommittee on Space. He also criticized the Obama administration for cutting space funding – including $440 million cut from Mars programs. “I hope the administration will change its posture and decide in the future that it is actually going to support SLS [Space Launch System] and Orion [spacecraft] and keep them on schedule because their proposals to cut SLS and Orion every single year is not helping us achieve the great goals that most Americans want to achieve in space,” Smith said. Testifying before the Subcommittee were Doug Cooke (Owner of Cooke Concepts and Solutions and Former Associate Administrator, Exploration Systems, NASA), and Dan Dumbacher (Professor of Engineering Practice at Purdue University, and Former Deputy Associate Administrator, Human Exploration and Operations Mission Directorate, NASA). They endeavored to answer the questions about budget uncertainties by assuring that financial obstacles won’t stop NASA SLS and Orion programs from continuous significant progress. Dumbacher noted that the agency is dedicated to building all systems as safely as possible, as soon as possible, and as cost efficiently as possible. “The Space Launch System, its Orion capsule, and their support infrastructure together create the needed foundation for US expansion beyond Earth’s boundaries. Each of the Programs is making significant progress, despite substantial fiscal obstacles. The team is diligently working to build this powerful launch vehicle, and its spacecraft, to reach Mars and eventually, go beyond,” Dumbacher said. He added that NASA carefully manages the programs at all levels, recognizes the cost constraints, and most importantly assures the future safety of space travelers. However, Brian Babin (R-Texas), the Subcommittee Chairman, expressed concerns about the cuts proposed by the Obama Administration. He is concerned that these cuts will have a negative impact on NASA’s exploration programs. According to Babin, the uncertainty regarding the budget that the Administration perpetuates has impaired NASA’s ability to manage the program’s efficiently on behalf of taxpayers. Nonetheless, leaving the budget constraints and uncertainties aside, Babin acknowledged that there is actually strong public support for future Mars missions. “Last week was an amazing time for the space community. A major Hollywood film about the exploration of Mars debuted within days of NASA announcing a significant scientific discovery – liquid water on Mars. The coincidence of these two events garnered the public’s attention, and rightly so. Rarely does popular culture and science align in such a serendipitous fashion,” Babin noted. “The attention also prompted obvious questions from the public such as ‘How will discovering water on Mars impact future exploration?’, ‘Are we really going to Mars?’, and ‘How and when are we going to get there?’,” he added. Cooke, answering these questions, described them as important ones that specifically address deep space exploration, and the impacts of the President’s budget. He said that the most challenging aspect of management and successful execution of the exploration programs is the impact of constrained budgets and unplanned changes to operating budgets. In contrast, Cooke sees the technical challenges as “fun in comparison and engineers can solve them”. “The disparity between the President’s Budget Request and budgets passed by Congress for Exploration vehicles causes problems in managing these programs. It also causes issues in perceptions of program health. To advance these programs Congress has consistently passed budgets each year that are significantly greater than the President’s Budget Request. It has been clear Congress intends to follow through with this necessary funding, yet the Administration continues to ask for less,” Cooke told the lawmakers. Eddie Bernice Johnson (D-Texas), the Ranking Member of the Subcommittee, defended the current path that NASA has chosen to send astronauts to Mars and other deep space destinations. She highlighted the role of other non-financial factors that shape the future of space exploration. “It’s not just a question of more money—it’s giving NASA some predictability as to when that money will actually show up. If this Congress is looking for reasons why NASA’s exploration program faces potential delays, we need [to] look no further than ourselves,” Johnson said. She added that too many times in recent years, NASA has had no idea when it would actually get an appropriation, whether that appropriation would be for more than a few months, or whether they might even have to suspend their work due to a government shutdown. “That is no way for America’s premier research and development enterprise and its dedicated workforce to have to operate. If we are going to ask NASA and its contractors to carry out the extremely challenging job of getting America to Mars, this Congress is going to have [to] do its job too,” she concluded. The Subcommittee on Space has legislative jurisdiction and general oversight and investigative authority on all matters relating to astronautical and aeronautical research and development: national space policy, including access to space; sub-orbital access and applications; NASA and its contractor and government-operated labs; space commercialization; exploration and use of outer space; international space cooperation and space law. Friday’s hearing was entitled “Deep Space Exploration: Examining the Impact of the President’s Budget”. Its main purpose was to examine the President’s five-year budget projection for SLS and Orion programs. NASA announced in August a one year slip of the first Exploration Mission (EM-1), the maiden launch of SLS, from 2017 to 2018. The Subcommittee stated that the announcement was made despite numerous statements from NASA officials to Congress that the program was on schedule and that no additional funding was needed. 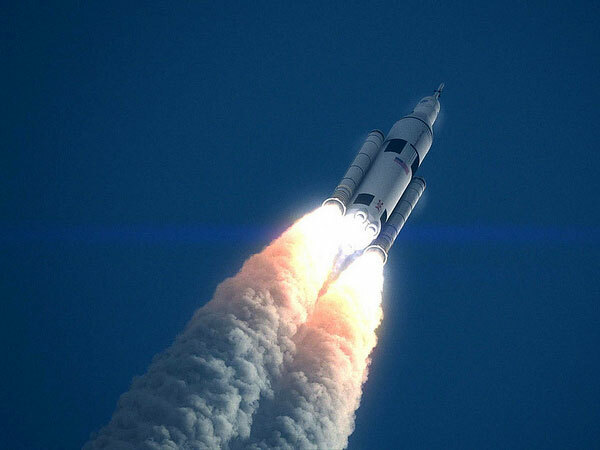 Last month, NASA made a similar announcement about the Orion spacecraft – pushing the launch readiness date for EM-2 back two years to 2023 from an original date of 2021. In the report released by NASA on Oct. 8, the agency outlined the technological and operational challenges in three categories: transportation, sending humans and cargo through space efficiently, safely, and reliably. NASA Administrator Charles Bolden hailed the document, saying that the report is unveiling additional details about the mission to Mars and how the agency is aligning all of its work in support of this goal. “In the coming weeks, I look forward to continuing to discuss the details of our plan with members of Congress, as well as our commercial and our international and partners, many of whom will be attending the International Astronautical Congress next week,” Bolden said. EM-2 is currently planned to be the first crewed flight of Orion – and the first time that SLS and Orion are used as a single unit. This flight could mark the first time that astronauts have traveled beyond low-Earth orbit since 1972. I, for one, am excited about NASA’s plans. Mars or Bust! I’ll believe it when i see it. I’ve always been a space enthusiast and cherish when progress is made. However politic visions are seen out. SLS least is trying get America beyond our orbit. However, there so many other programs out there, its getting spread thin. Commercial Space effort is good approach, but various factions sabotage efforts alleviate cost going into space. However US Congress is resisting this thinking it stealing jobs. It stop being about going space, its about sustaining various state’s space industries. Its simple. If Americans want to go to Mars we should pay a small tax to fund NASA. I know it’s much more complicated than this, but nonetheless, it’s awesome to see that Congress, in principal, is on the same page as the rest of us about going to Mars. That’s not happened before, ever. I think what’s going to happen is that we’ll see multiple systems move forward, and all of them will have their place. Eventually people will start to realize that space is a big enough place for everybody to sit at the table, and the details about which system to use will cease to matter so much. What the movie “The Martian” did was highlight the technology to actually get a manned mission to Mars and back. The SLS is absolutely essential. It enables the construction of a Hermes class vehicle. A Hermes class vehicle would be the enabler for long duration manned missions to other planets in our solar system or even to the Moon for that matter. We need a budget to design and build a Hermes vehicle if we are ever to venture very far from Earth. What we are doing now are the baby steps.